When my husband travels for the week, my neighbor invites my daughters and me to her house to make homemade pierogies. She's from Slovakia, and I can tell simply by the way she speaks that Slovaks know how to make pierogies. This is her thing. Unceremoniously, she pours flour onto her counter, carves out a well, and cracks eggs into the hollowed space. 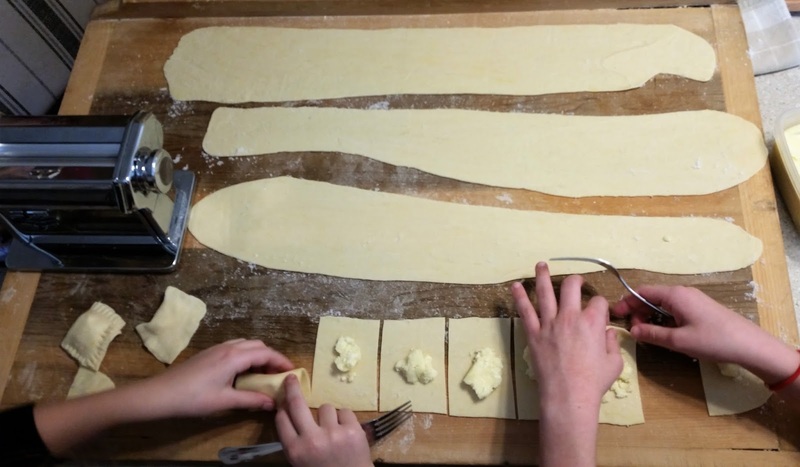 Our children take turns kneading the dough, and once it's the right consistency, we run it through the pasta press. 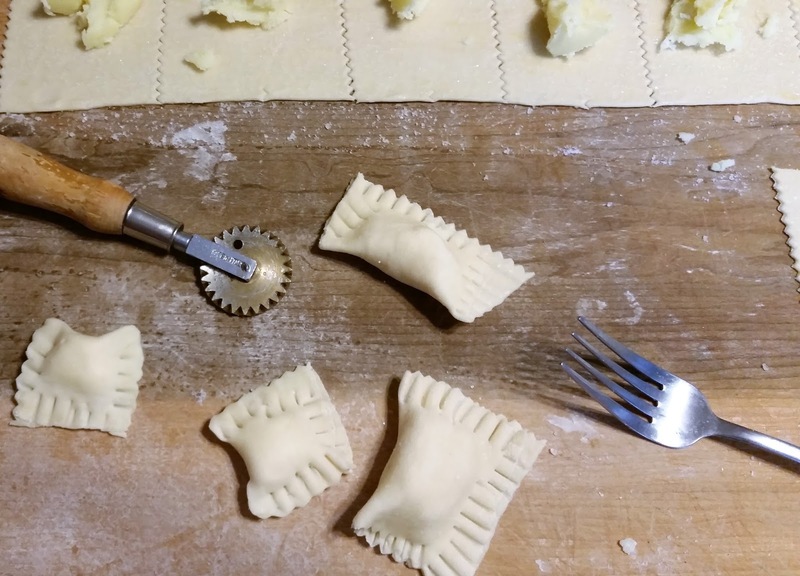 We cut squares of dough, add the potato and cheese filling, and seal each peirogi by crimping the edges with our fingers and the prongs of a fork. The kids run off to play, and my neighbor and I sit together, talking and drinking tea. She boils the pierogies and sautees onions on the stove top, and then we call the girls back into the kitchen as we scoop steaming pierogies onto plates. They're better than you can imagine. They're little pillows of potato and cheese wrapped in dough, slathered with butter and love and more butter. I am now forever ruined; I can never return to boxed pierogies from the grocery store freezer aisle. They're always better when they're homemade. I love pierogies and have only experienced homemade ones a handful of times in my life -- but you're right they ARE better when they're homemade. Great - now I'm craving pierogies! Yes, it's impossible to turn back now! 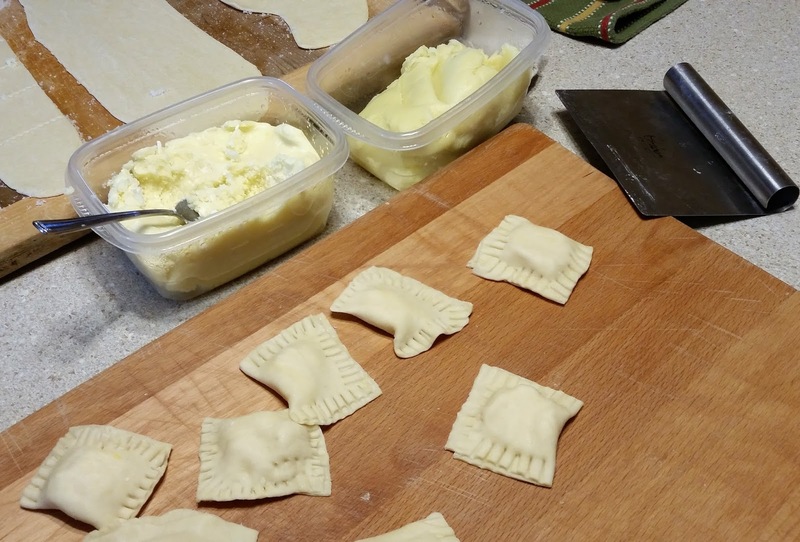 I like this post, it's fun to make our own pierogies specially with kids.